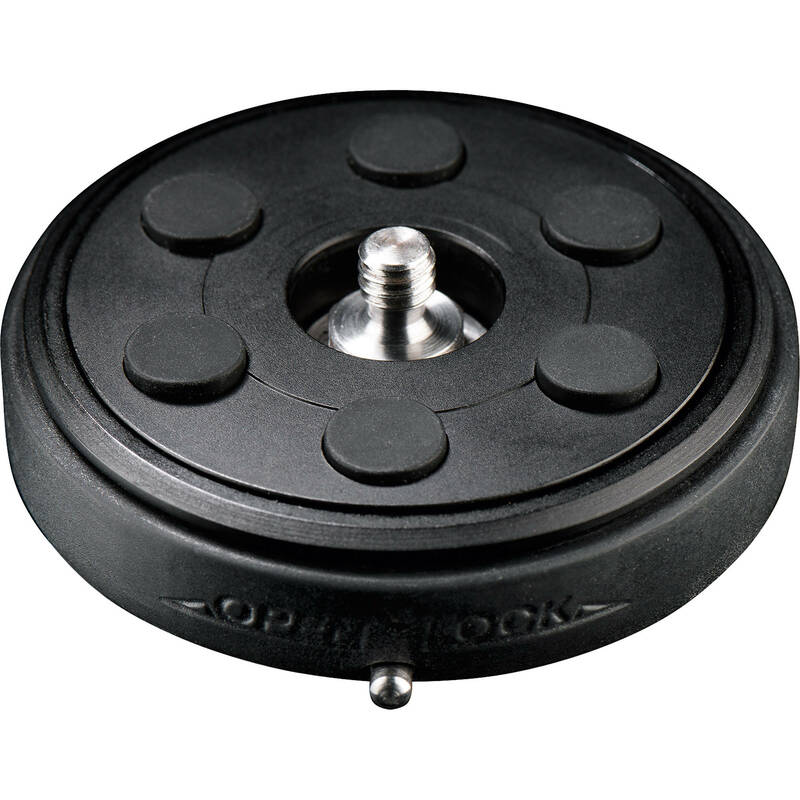 The CONCEPT ONE OX615 PinLock Camera Plate from Cullmann can be fitted on a ball head and uses six integrated pins to prevent a mounted camera from accidentally turning. It also features a 3/8"-16 adapter to fit tripod heads with 3/8" screws. Cameras can be mounted via the 1/4"-20 camera screw. Six plastic pins are pressed against the bottom of the mounted. The rubber coated outer ring on the plate can turns to further press the pins against the bottom of the camera for stability. The aluminum PinLock camera plate easily and quickly attaches to ball heads with the included assembly tool.